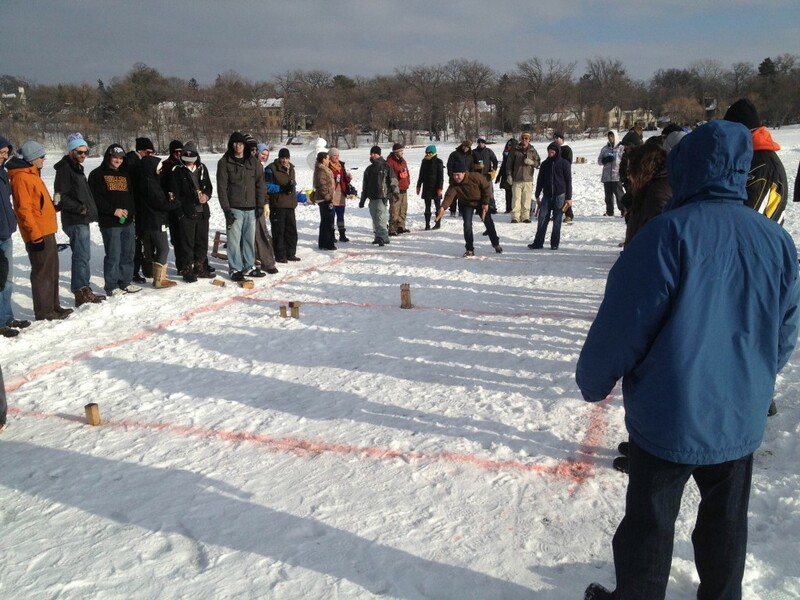 The Loppet Kubb Tournament is just one week away. We’re happy to announce that the 2014 Loppet Tournament is bigger than ever. 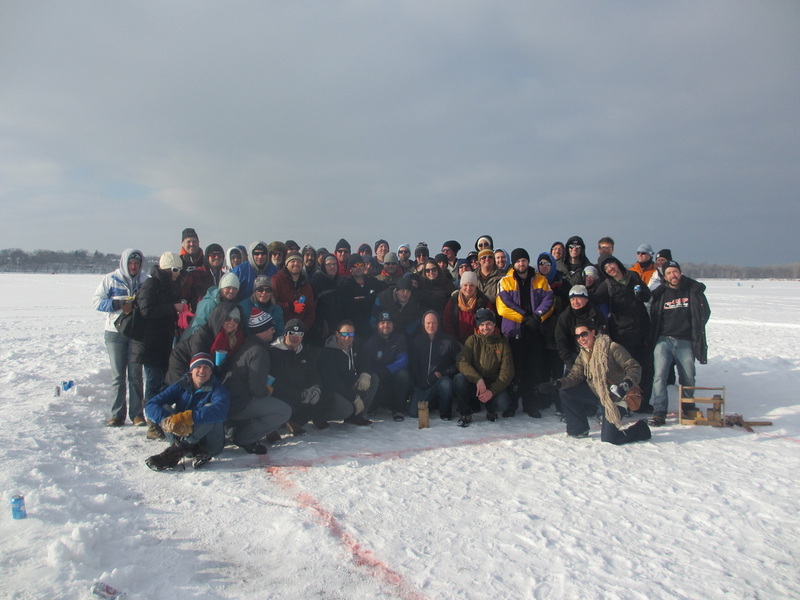 Over 200 participants will gather February 1st representing 64 teams from 5 states for the largest winter kubb tournament in the world. Minnesota Kubb will release the tournament groups live Sunday, January 26th at 8pm on Fox Valley Kubb Radio. Tune in to find out who you’ll play! This entry was posted in Uncategorized on January 24, 2014 by EricJohn. It seems like a good time to start a Ladder. Amongst our group of friends, playing Kubb on a team has always been the way we prefer to play. We like to play as a social activity. Running a team ladder would be difficult. We didn’t think a formal system to prove who was the best Kubb player seemed necessary. Further more, proving who amongst us was the worst Kubb player is not something that would further our goals. That said, when I heard how our friends in Chaska used their ladder to determine who’d play together in Nationals, and then when I witnessed how strong King Pin was this year in several tournaments, the idea of a ladder started sounding more appealing. The temperature in MN dropped in to the thirties this week and it’ll be harder to convince any sizable group to show up and play kubb with you for the next 5 to 6 months. (I know… it’s depressing.) The ladder will help encourage people to play kubb in the winter which is something we’re obviously interested in. This gives us the option of running a “winter-only” ladder if we decide that the ladder isn’t something we want to be doing all year long. The Chaska 1 v 1 Tourney is this weekend and at least 4 people who’d want to play in this ladder will participate – meaning we can simply use the tournament results to seed the ladder. I plan to “run” the ongoing Ladder tournament, although I don’t plan to start with a lot of formal rules. A broad explanation of a ladder tournament can be found on wikipedia. If we decide that we need more structure, I’ll look to DMK, who’s ladder is well defined and who’s rules are well tested. I will make a more formal web page about our ladder with the results soon. Yes, they are the sort of tag you get when you park your car with a valet at some old restaurant like Nye’s Polonaise Room. Yes, they start at 101. I think that might help keep the top player’s ego in check. Yes, I couldn’t find 105 so I got one a black one with the number 55 on it. The place I bought them is called “Hunt & Gather” for a reason. If you were there with me you’d be proud that I did as well as I did. I also didn’t find 110, but I actually think that should be some sort of awesome prize that I haven’t conceived of yet. This is the sort of ladder I’m going for. Anyway, I know I’m not the only one around here who’s excited to play in this ladder and to see how it shakes out. This entry was posted in Ladder Tournament on October 23, 2013 by Jake. 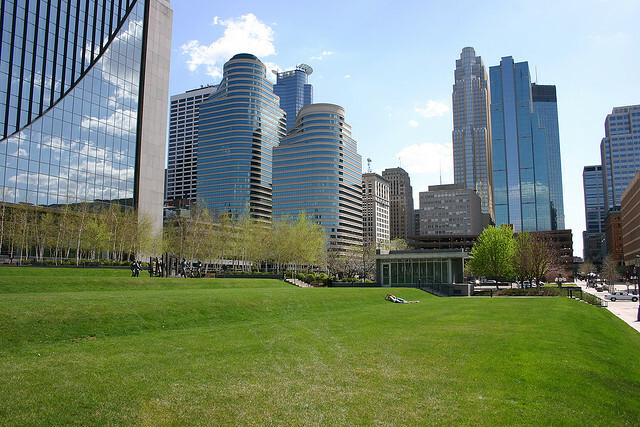 Saturday turned out to be an absolutely perfect day for kubb in downtown Minneapolis at the picturesque Marquette Plaza. Teams of all skill levels gathered to celebrate kubb on the Nicollet Mall. The day kicked off with group play starting at 10am and a very tough early match between Goofy Kubbers and Regicide. In what became a preview of the finals match, Goofy Kubbers took the match 2-0 thanks to the very good drilling from Evan Fitzgerald. Newcomers and fan favorite Klassy Kubbers learned the game on the fly having played only once before. They proved beyond a doubt how fun it can be just learning the game of kubb. In the other group, Team Meh cruised through group play with Micah and Lee playing lights out kubb. Garrick Van Buren (normally of Kubbchucks) playing as The American Facial Hair Experiment found his team, once again, in a few hourlong grinder matches but managed second in the group behind Team Meh. Teams fanned out through downtown for lunch as the Pizza Luce Block Party kicked off nearby and the sun crawled it’s way up the tiered pitches. A few big names in the kubb world were seen playing a friendly or two before teams gathered to start knockout play. The #1 vs #4 games went as expected but not as quickly as one might have thought. The Klassy Kubbers didn’t look intimidated against Team Meh and The Queens of kubb held their own against The Goofy Kubbers before both #1 seeds advanced. The #2 vs #3 games were very well played and pretty evenly matched. TAFHE again found themselves grinding out a long and well earned victory over Kubbic Zerconia (known to most as the Lakerol Originals). In the other #2 vs #3 match Regicide outlasted The Kubbler Elves, a very good team that has improved a lot and will be a team to beat at future tournaments. While teams battled it out on the pitch, Minnesota Kubb designer and artist Sarah Wray created the trophies live on site. At Minnesota Kubb we pride ourself on unique trophies highlighting the talent of local artists and this was no exception. With a variety of supplies and tools at her disposal – players, volunteers, and spectators watched as Sarah created the unique trophies throughout the day. Sarah chose a theme reflecting the urban nature of the tournament – using street art influence to stencil and paint the trophies. The semifinals kicked off with a match between Regicide and Team Meh that could have been the finals had the bracket played out differently. Both teams were highly skilled and the match reflected that all the way through. Regicide were able to eventually break through winning 2-0. In the other semifinal, Goofy Kubbers outlasted TAFHE and the finals were set. Goofy Kubbers and Regicide moved up to the waiting Championship Pitch on the top tier of the Marquette Plaza and the finals were underway. The match showcased Evan Fitzgerald, one of the best inkastres in the nation against Dave Ellringer and Cole Vryens, two of the better blasters around. Evan and Braden played great kubb several times hitting clutch doubles with their 6th baton. On the other side the story was Josh Dibley who set up Dave and Cole extremely well all match long. Drilling for the first time in a final, Josh stayed cool under pressure and was the difference helping Regicide capture the first annual Minnesota Kubb Open in two games. It was a great day to play on the Plaza and we’re looking forward to returning to the space for future events. This entry was posted in Uncategorized on August 16, 2013 by EricJohn. We couldn’t be more excited to partner with the American Swedish Institute for Cocktails at the Castle this Thursday, July 25th from 7pm to 11pm. Check out our facebook page to win free tickets. In the mean time, here’s what you really want to know: FIKA Street Food, Indeed Beer, Live Music, Pumphouse Ice Cream, DJ’s from 89.3 The Current, and kubb. Lots and lots of kubb. Three kubb pitches will service a variety of skill levels. With the help of Minnesota Kubb Volunteers, beginners can get the basics at our “Learn to Play” pitch while an “Open Play” pitch allows players to try a match of their own. Graduate from that and think you can hang with the experts? Our “Challenge Pitch” will allow players to test their skills against a team of “pros.” Beat the pros and you’ll get free registration for the 2013 Minnesota Kubb Open Tournament on August 10th. This entry was posted in Events on July 19, 2013 by EricJohn. For the last 4 years I’ve played in the U. S. National Kubb Championship. For the first three years it was a minimum 2 player team tournament and I played with a different partner each year. Last year I played with two friends as Börk! Börk! Börk!. We had a pretty good time and played some competitive Kubb. I think my teammates from last year and I made a good enough team that we would have done it again this year, but one of them is in South America for the summer. I knew he wouldn’t be able to play and that we needed a third, but I had thought it would work itself out somehow. I could try and blame a cold wet spring, or some other external factor, but tomorrow is the deadline for registrations and Börk! Börk! Börk! does not have a third player and is not registered. I guess this blog post is a last ditch effort to see if there is anyone else in a similar boat. My partner Josh and I don’t even care too much about playing on the same team, but we’ll almost definitely go to the tournament. Our friends John Kubbar Mellencamp will let us throw a few batons with them if we’d like, and Eric Anderson said it might not be a bad idea to show up looking for a team and see if somebody needs a last minute third. I’m pretty excited about the “5th Year” buttons they’re giving out and I’ll get one somehow. Josh and I are not picky and if anyone wants to compete in the championship with us on July 13th in Eau Claire, we’d love a register a team. We’re not tied to a team name or anything. I’d also like to know if you’ve got a team that needs a third. Please send me an email or facebook message in the next 24 hours. This entry was posted in Uncategorized on June 22, 2013 by Jake. It seemed like it might not happen at all, but summer has found it’s way here to Minneapolis. And while it’s been a little Seattle-like we take summers seriously here in L’Etoile du nord. So we’re rolling out three great ways to play kubb in the sun! 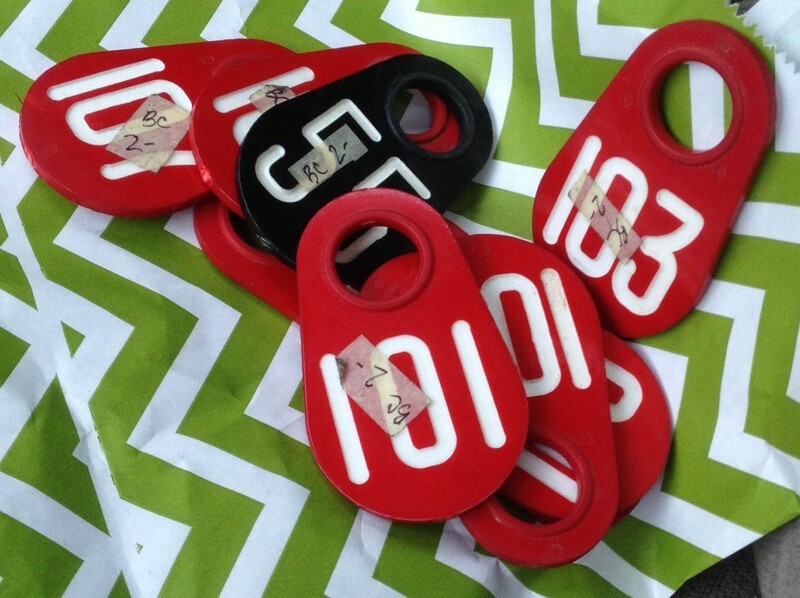 Tri-Loppet Tournament – June 29th, 10am to 3pm – Registration is open now! We’re excited to again partner with the Loppet to bring you a fun afternoon of live music, food, (free) beer, and of course kubb! Never played in a summer tournament before? Never played kubb at all? Perfect! This relaxed environment is an ideal way to transition from backyard/BBQ player to tournament champ! As usual we’ll have practice pitches for open play and volunteers available to help those who need some help remembering how to play. Did we mention free beer? All participants (of age) receive a free Surly beer ticket – register a team of 6 players and this tournament pays for itself in delicious Surly! Minnesota Kubb will be taking over the East Lawn of the American Swedish Institute for this one of a kind evening. Listen to live music, explore the grounds, eat food from FIKA, and play kubb! Indeed Brewing will be serving beer near the kubb pitches along with Pumphouse Ice Cream. Three pitches will be available: one for beginners to learn the basics, one for open play, and one “challenge” field for you to try your hand against a team of experts. More details can be found on the American Swedish Institute’s event page. No need to register, your ticket will get you access to all the kubb fun! We’re very excited to introduce Minnesota Kubb’s first Summer Open Tournament. Mark you calendars now as we expect this event to fill up fast. This will be a small tournament held at the Marquette Plaza green space (formerly Cancer Survivors Park) near the Central Library on the Nicollet Mall. Details and registration information will be announced soon. This entry was posted in Uncategorized on June 18, 2013 by EricJohn. 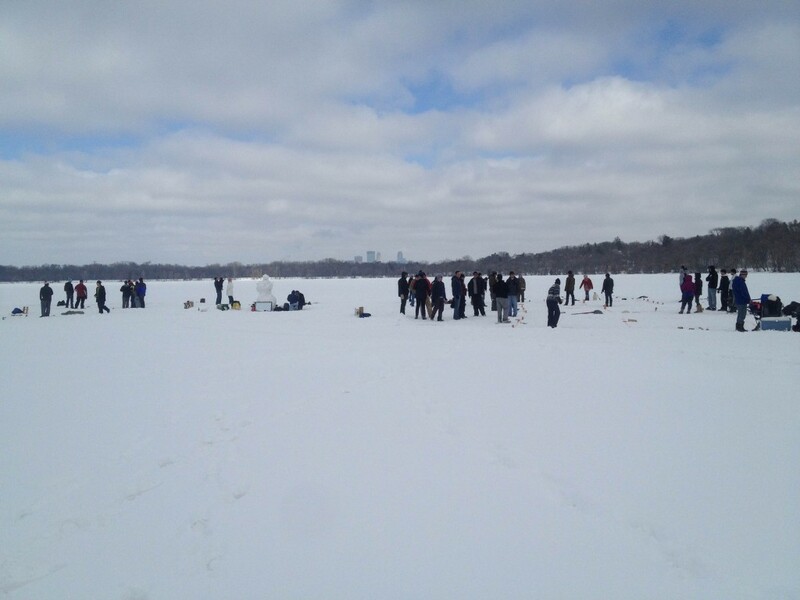 We arrived at about 11:30am last Saturday at Lake Harriet to find about 50 kubb players milling around 7 or 8 shoveled and painted kubb pitches out about 75 yards off the shoreline. Almost everybody had a beer in their hand and was chatting with their friends. They’d also constructed a snow man and started a small bonfire on the lake. Some nice touches we should consider for our next winter tournament. John Sather picked out who we were right away and pointed us towards his sister who’d come up from Chicago to be here and help run the tournament. We paid our fees and hung around for until about noon when things started. I should mention that I didn’t see anyone practicing even though most players were present at least a half hour before they started. This is your first indication that this group does things a little differently. At this point I encourage you to read the info I put on in the Planet Kubb Wiki for more specifics about how Midwest Kubb Association tournament are run. Around noon we all met at the snow man for a reading of the rules, which were incomplete, but I don’t blame them. No one ever has time to really go over rules before a kubb tournament. After that we all picked slips of paper with numbers out of a stocking cap. We reported our team number to the tournament coordinator and she told us the name of our partner and assigned us a pitch. I should have been more excited when she told me my partner was “Destiny”, but somehow I knew that I wouldn’t be playing with “The hidden power believed to control what will happen in the future”. Destiny was a skinny blonde girl in her early 20s who had played some kubb last summer, but never in the snow. So with a 1 and 2 showing in the round robin, Destiny and I didn’t even make it in to bracket play, but that was no reason to leave this tournament. I did run out to get some beer so I could fit in with the crowd a little more and returned to see that Eric’s Team and Lee’s Team had been making short work of their opponents. Anders and his teammate had more success than I did, but they were eliminated around the time I returned. As the Semi-Finals started everyone huddled around two pitches. The teams were becoming much more evenly matched and with single elimination play, these games were getting intense. I feel like there was a lot more cheering, but also spectators calling players who got a little to close to the line with their “Minneapolis Step”. There was just a lot of fun energy building. Eric’s partner Pete was really good for a guy who’d never played in a tournament before had at least one friend who was coaching them through out the tournament and joined Anders and I cheering them in to the finals game. This different rule set also seemed to agree with Lee, who played some of his best Kubb. although anyone who’s seen him play knows he’s an underrated player. He also had the luck to be paired with a strong player named Jason Emery who’d been playing with the Midwest Kubb Association for years and read the rules at the beginning of the day. I believe Anders took the photo above after the initial toss to determine who’d go first in the first game of the final match and as you can see, these both got about as close as you can. I don’t remember exactly how it went, but I think Lee and Jason just barely took the first game in the final match, potentially after a missed King shot. Eric and Pete fought back and won the second one. During the rubber match Jason’s friends were taunting him from the sideline saying there was no way he could win because he’d never done it before. I was standing near Lisa the tournament coordinator and commented on all the heckling and it’s tough to be playing in the finals with a bunch of close friends giving you a hard time. I actually think Eric and Lee had an mental advantage because no one really knew them. Despite all this Jason was making most of his shots and Lee was in the zone. Beginning of the final turn of the last game. I wish I had some video of the finish. I’m probably bias because I knew members of both teams pretty well, but it was as exciting as the end of any Kubb tournament I’ve ever been too. I’m not sure if anyone was taping but there are some photos from last weekend up on the MKA Videos and Photos page. On Monday I mailled John at MKA to thank him for letting us play and asked if it’d be alright if we tried to join them again sometime. He was glad we’d come and gave me info about how to keep in touch with them. I guess that Lee’s partner Jason is running a tournament in Minneapolis sometime this spring and I’d think he’ll be happy to take as many people as I can get together for that. I’ll keep everyone in the loop on Facebook. This is everyone. Eric and Lee are kneeling in front. I’m off on the far right and Anders is in there somewhere. This entry was posted in Uncategorized on February 26, 2013 by Jake. I’d heard that some of the Kubb players I knew had come across and spoken a little with people from this group, but I’m fairly certain I had not contacted them before a few weeks ago. As I was talking about how our Winter Tournament had gone with some friends, they said they’d been beaten by “Midwest Kubb Killers” and I made the connection to Midwest Kubb Association. This brought me back to their site to realize that MKA was throwing a tournament on Lake Harriet (just south of Lake Calhoun where we held our tourney) next weekend. I decided I’d just try and contact them through a contact form on the site and see if they’d let me and a few friends play. John Sather at MKA responded via email and said we were welcome to play, provided us with a brief explanation of their rules, and asked for the names for his list. So we’re in, and excited to play a different version of Kubb with a fresh new group of people. Before I get in to more details I want to explain that the way these guys play Kubb is actually very similar to the way that many of my friends and I learned to play when we first heard about Kubb. We must have played this way for an entire summer and it became our favorite backyard game. Over the winter or in that next spring we decided that we wanted to go play at the biggest tournament in the country and they had different rules based on what the international tournament was doing. We switched and prefer the US National Championship rules, but still occasionally played like this for a change of pace or nostalgic reasons. UPDATE: Some of these assumptions turned out to be wrong. Check the Planet Kubb Wiki page for the real info. They are eliminating downed field kubbs from the game after they’ve been inkast and knocked over once. They seem to be willing to stack a kubb on top of any other kubb (baseline, or field kubb) that it touches when inkast, but may have a limit of 3 to a stack. I assume “field advantage” exists because it happens so rarely with kubbs getting eliminated. In the video I’ve seen on their site, I’ve only seen them place penalty kubbs behind kings, although that may be optional. When all your opponents kubbs are down, you only get one shot per turn at the king, but you don’t need “one in the clip” to take the shot. Their pitches are all sprayed or chalked in so its clear when kubbs are on or out. If they are touching the middle or baseline they are out, but the sideline is all in. Each player pays a fee to get in. Players are paired randomly (which should help us get to know these guys). The championship match is best two out of three, but everyone else plays single games. There are some scoring and tiebreaking rules that seem different, but I’m not even sure they get used regularly and won’t go in to detail. So this is what we’re in for next weekend. It’s sure to be fun and I’d guess it will have more of a poker tournament feel than we’re used to. We practiced this way yesterday and we’re sure these rules speed things up considerably. Eight meter shots are the most important in every version of kubb you’ll play, but more so with this ruleset than the way we usually use. I’m looking forward to a much shorter, compact tournament that’s a little over a mile from my house, starts close to noon and has me home in time for dinner. If anyone wants to come check it out, let me know and I can try and get you more details. 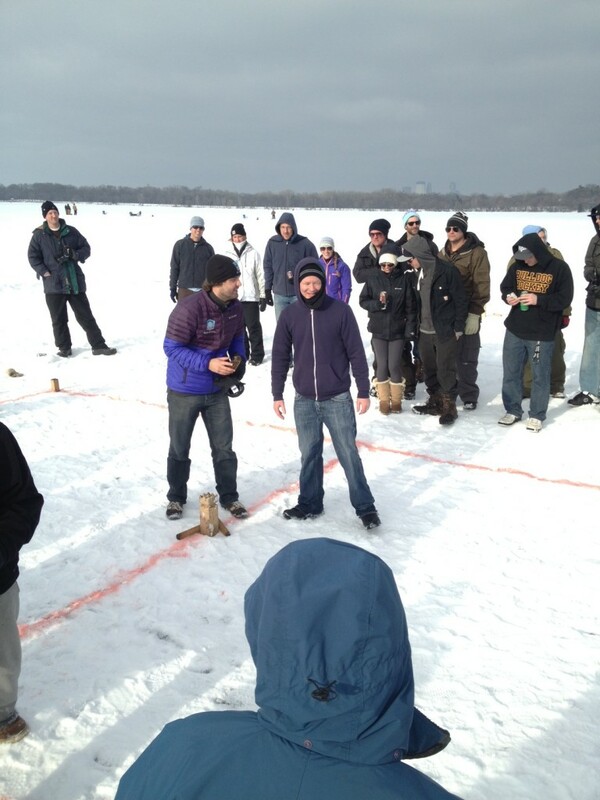 This entry was posted in Kubb related "projects" and tagged Midwest Kubb Association on February 18, 2013 by Jake. This entry was posted in Uncategorized, Winter Tournament on February 2, 2013 by EricJohn. 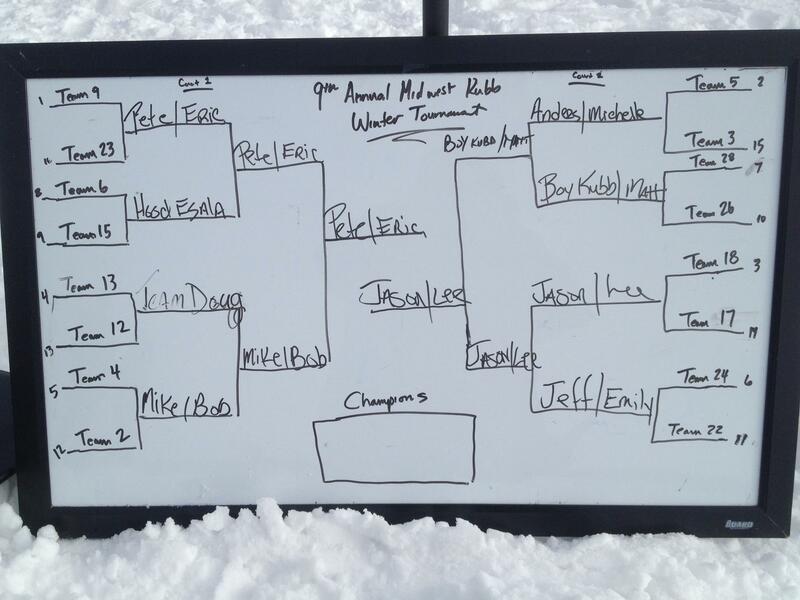 Here is the Final List of Registered Teams for the 2013 City of Lakes Loppet Winter Kubb Tourney. Although we have 50 teams registered, we anticipate a 48 team tournament. Please contact us ASAP if you need to drop out. We’ve had last minute drop outs every year, but there are also some teams we could combine or potentially split to make the number work out. Thanks to all the teams. We’re looking forward to seeing everyone on Saturday. This entry was posted in Winter Tournament on January 31, 2013 by Jake.